After months of hemming and hawing about whether we were “TV people,” the Olympics forced our hand. Charlotte and I went down to Best Buy on Saturday — somehow, this is still how you buy a TV, just like in the 90s — and walked around the showroom. Charlotte made quick friends with the saleswoman, who offered her Bubble Tape and answered her question about whether the TV came with a remote. We walked out about 20 minutes later with our first TV in ten years. Every night since, after Wilder goes to bed, we roll out the blankets on the floor, strip down to our undies and point the fan at ourselves while the Olympics plays out above us. We talk, too. We talk about how incredible Simone Biles is, how lane 8 is longer than lane 1, how Dad did the high jump in 8th grade and Mom wishes she had tried just one sports team. We have popsicles or watermelon or Klondike bars to stave off the heat before herding Charlotte into bed at 10 and doing it all again the next night. It’s peak summer. It’s glorious. I hope the Olympics never end. 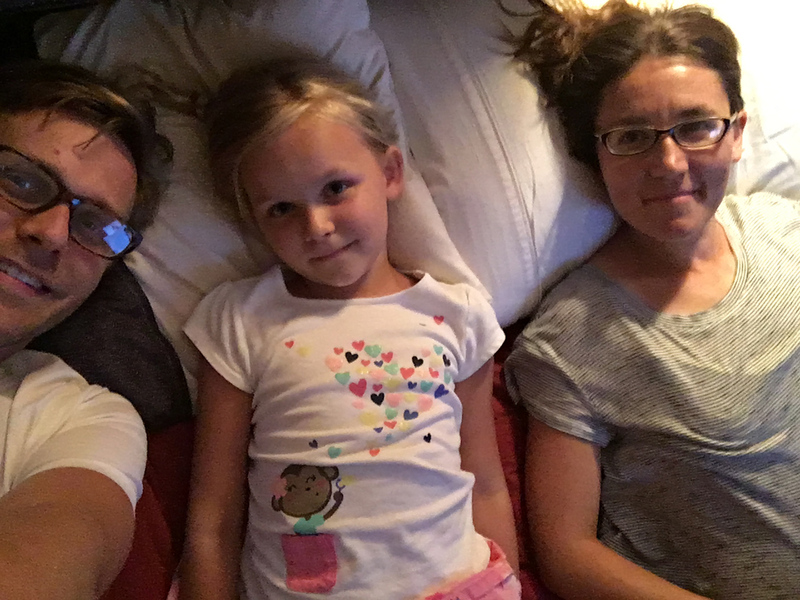 It hardly seems possible that four years ago the three of us crowded into one bed in a Hampton Inn in Hagerstown, Maryland, watching the summer Olympics with the same ravenous appetite for summer athleticism. But four years it was. And while pretty much everything has changed since then, it is so deeply comforting to find ourselves back on familiar ground, the three of us in front of the summer Olympics.